Set just over the Harbour Bridge, only 1.5 kilometres North of Sydney’s Central Business District (CBD), it is plain to see why travellers are opting for accommodation in Neutral Bay. Accessible and only minutes from the city via the train or nearby ferry, Neutral Bay offers visitors a glimpse into the laid-back lifestyle synonymous with Sydney’s North Shore, with the busy city not too far away. This Neutral Bay hotel is known to locals as Percy’s. It boasts a lively bar with old-world charm on the ground floor, whereas upstairs is a recently renovated stylish hotel. 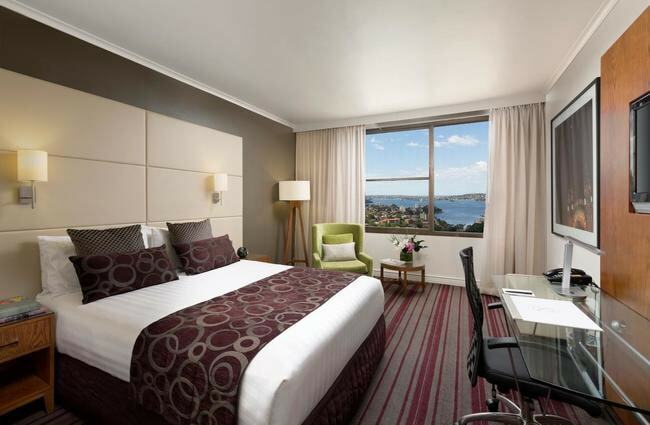 The North Sydney Hotel (Percy’s) offers 11 rooms, all with designer interior and luxury finishes. This is the perfect place for a local experience in a residential suburb, just moments from city life. This garden getaway is the perfect escape for city-breakers looking to feel relaxed in their own private studio. With access to a garden, BBQ facilities and a pool, guests can enjoy the luxury of their fully-fitted studio apartment with its own private entrance. Bright, airy and modern, guests can enjoy a seamless stroll from living space to a lush, green garden via the removable glass wall. 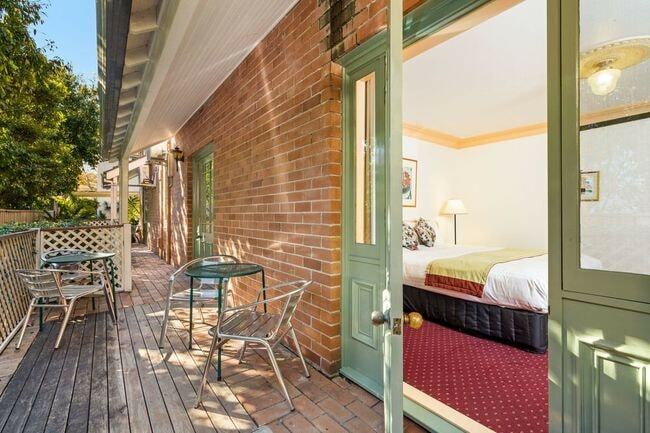 This charming guest house located in Sydney’s Neutral Bay is a great alternative for accommodation. Upholding an old-world air, full of charm and character, McLauren Hotel consists of 11 unique rooms in the original stately mansion, and 16 standard and deluxe rooms in the newly built wing. Quirky and artful, this property is the perfect exotic escape when in Sydney. A stunning open-plan dining and living area makes way for open-air views of a leafy garden and the city skyline. With fantastic stylistic influences, designer furniture and character in abundance, this pad is very family-friendly with lots of space for kids to play and adults to relax. This stylish private property in Neutral Bay is cool and contemporary. Soak up some sun on the luxurious private deck or enjoy al fresco dining with the state-of-the-art BBQ facility surrounded by lush daybeds. Open plan, the outdoor area spills into the living area along with heaps of natural light. Only 400 metres from the centre of Neutral Bay, this is a great base for a small family or group of friends visiting Sydney. Set in the Lower North Shore, this hotel is a great option for business people and city-breakers looking for simple and straightforward accommodation. Well-appointed, contemporary lodging comes in the form of standard hotel rooms and one- and two-bed suites. 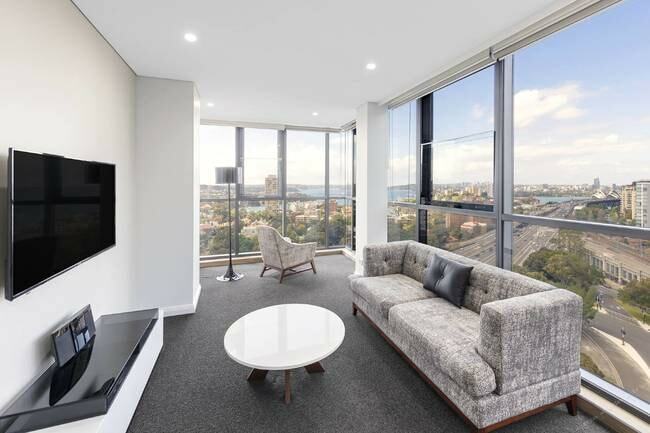 Not far from Sydney Harbour Bridge, guests can take a walk into the city or hop on one of the many transport links that bridge this suburb with the CBD. Owned by a media entertainer, this luxury property is complete with an outdoor pool, gardens and dining, decadent interiors such as free standing bath tubs, high ceilings and lots of natural light. This stunning property is a family home, thus only let out to family groups. Perfect for the next holiday, this space is kitted for children and toddlers alike. This private luxury condo offers guests stunning harbour views from the solace of the property. Super slick and modern in design, the one-bed apartment features stone and marble with tonal colour palates and wooden accents. It has a fantastic balcony area filled with fresh herbs and skyline views, perfect for a glass of wine before a night out in the city. At 29 levels high, Meriton Suites is North Sydney’s tallest hotel. With stunning views of Sydney Harbour Bridge, Opera House and surrounding waterways, this is the perfect place to rest after a day of sightseeing. Fitted with stylish furniture and state-of-the-art amenities, Meriton Suites makes for a great home away from home. The North Shore complex offers an indoor pool and 24-hour fitness centre, parking facilities, and daily housekeeping.